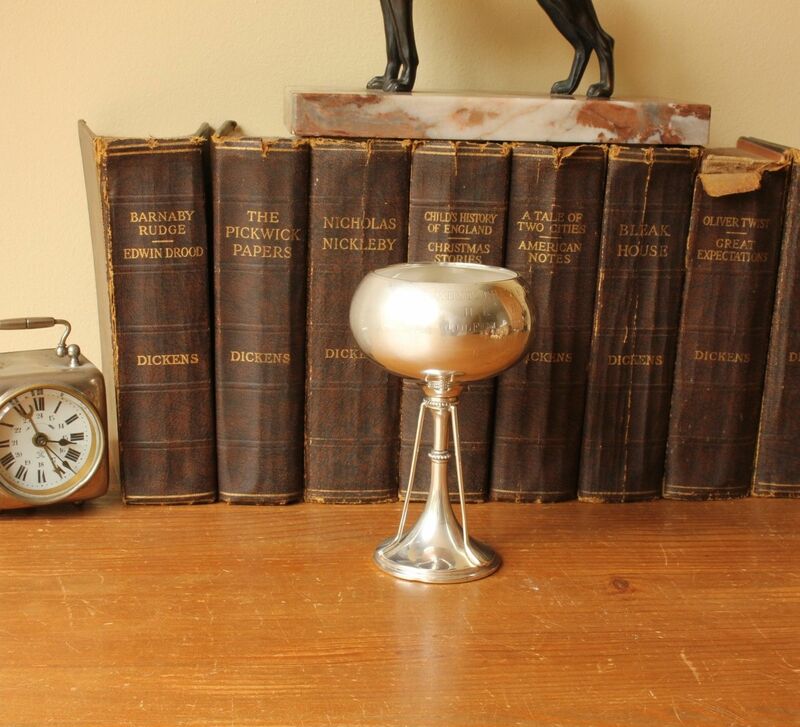 Solid Silver Golf Trophy 1926. 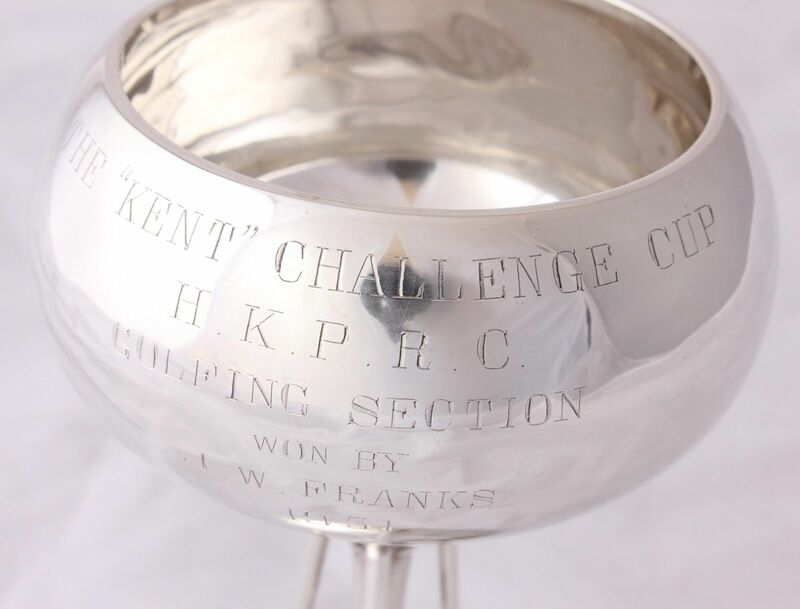 Golfing Kent Challenge Cup. Hong Kong Police 1931. 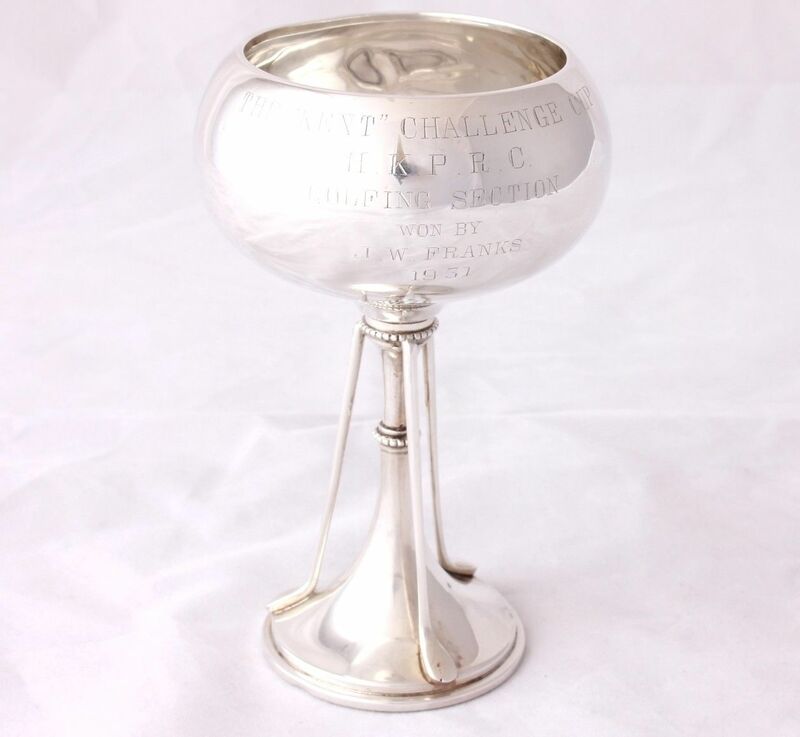 This lovely Sterling Silver golfing trophy cup which is designed as a bowl perched on three golf clubs has an interesting inscription that reads "The Kent Challenge Cup. HKPRC. Golfing Section. 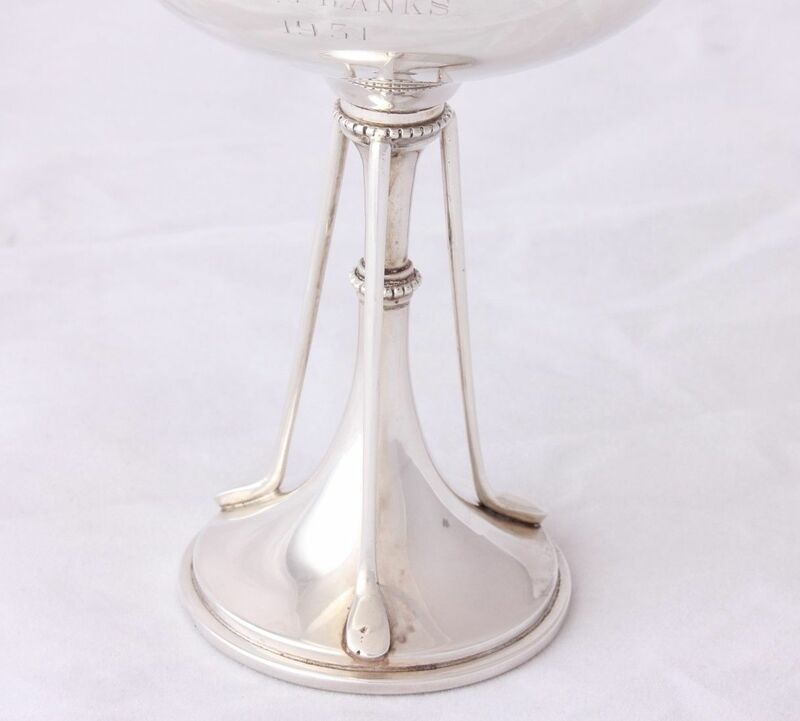 Won by J W Franks 1931". 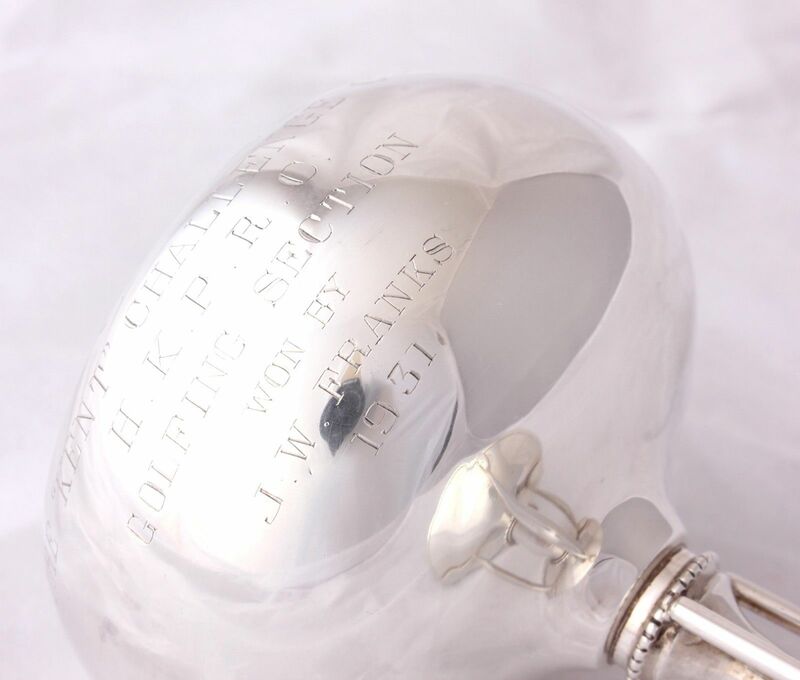 This interesting cup was awarded from the Hong Kong Police Recreation Club and was won by JW Franks in 1931. This trophy would make a unique collectors piece for a golf fan. Hallmark: Lion for Sterling Silver. 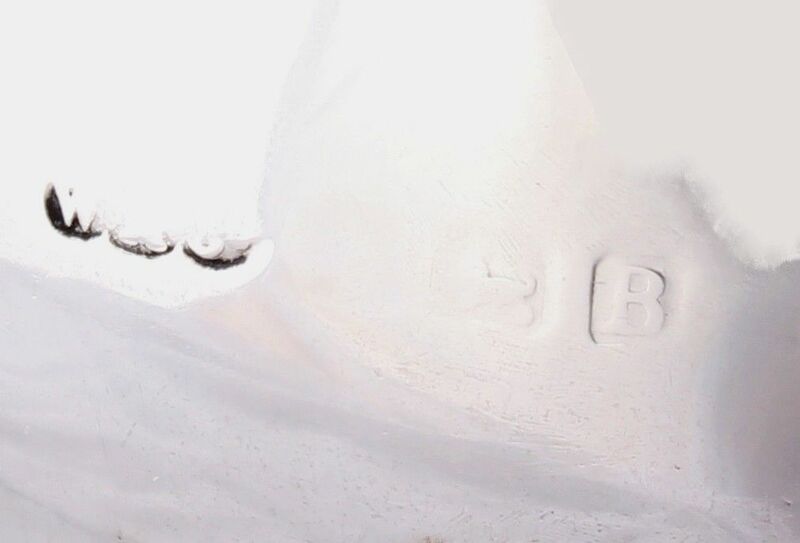 Date letter B for 1926. Maker's mark W M Co for Wilmot Manufacturing Company. Size: Height - 13 cm (5") approx. Width - 7 1/2 cm (3") approx at widest point. Excellent antique condition with light signs of use in keeping with age. Some very light scratches and tarnishing. A couple of small dings to cup. The base of the cup is slightly uneven. Maker's mark is worn but can be read. Please see pictures.